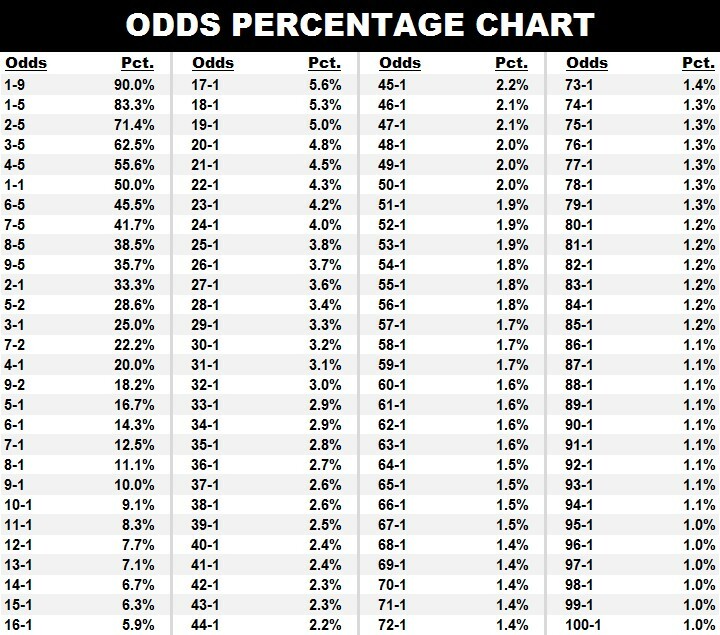 B) Convert these odds to a percentage. Because I am such a kindhearted guy, I have included a chart, as well as a link to an Excel spreadsheet program, to make this process easier. Just as last year’s Delaware Handicap produced a thrilling showdown between the two top older females in training — Blind Luck and eventual Horse of the Year Havre de Grace — many race fans are hoping the 2012 edition does likewise. On paper at least, the prospect of that looks promising, as last year’s BC Ladies Classic winner Royal Delta squares off with Awesome Maria, the mare that beat her by eight resounding lengths at Gulfstream Park earlier this year. On the other hand, both Royal Delta and Awesome Maria have questions to answer. With a decent pace expected given the presence of Cash For Clunkers and Love And Pride in the field, the former needs to prove she can rally from further off the pace than she’s accustomed to or show that she can duplicate the strong (-4) LSR that she earned last time after exerting herself more in the early stages. The latter, meanwhile, needs to rebound from one of the worst races of her career (99 Brisnet speed figure and a woeful -14 LSR) and, for that matter, demonstrate that she’s as good as she was in 2011. Can you please send me a copy of your fair odds calculator? The website above no longer works. I appreciate it, thanks. 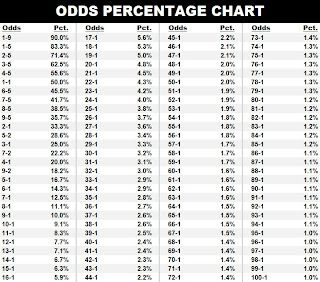 How come when I use the ML odds of a typical 6 horse race at Santa Anita, the pecentages add up to well over 100%?? Does this method account for the takeout?